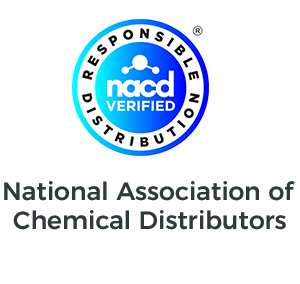 Lincoln Fine Ingredients manufactures and distributes products under a strict set of guidelines that guarantees products that are good for the environment and good for the consumer. The following symbols denote specific certifications applicable to our products and will be noted accordingly. 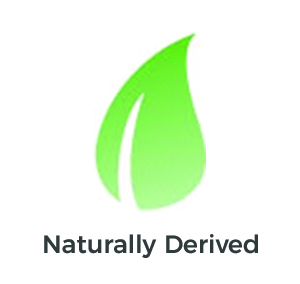 Lincoln Fine Ingredients' droplet-leaf mark symbolizes products that are Natural / Naturally Derived. All ingredients within these products are either found in nature or start from natural sources. The United States Environmental Protection Agency (EPA) allows safer products to carry the Design for the Environment (DfE) label. This mark enables consumers to quickly identify and choose products that can help protect the environment and are safer for families. 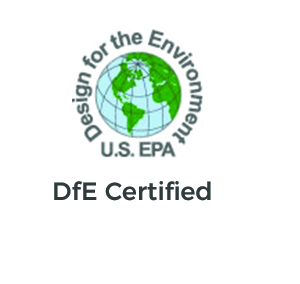 When you see the DfE logo on a product it means that the DfE scientific review team has screened each ingredient for potential human health and environmental effects and that-based on currently available information, EPA predictive models, and expert judgment. ECOCERT is an organic certification organization, founded in France in 1991. 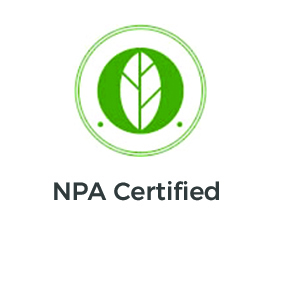 ECOCERT is a control and certification organization accredited by USDA for NOP certification and by NAPP for JAS certification. The ECOCERT label is a mark of recognition for professionals wishing to place emphasis on superior quality. The ECOCERT label is recognized by consumers, who, through their confidence in us, are helping to uphold a symbol of professionalism, consistency and commitment. 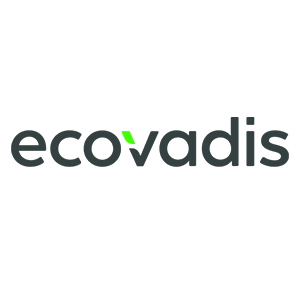 It is based in Europe, but conducts inspections in over 80 countries, making it one of the largest organic certification organizations in the world. 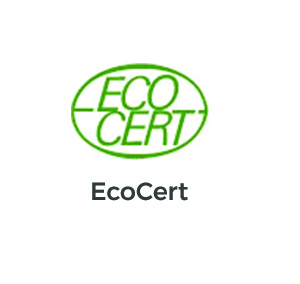 ECOCERT primarily certifies food and food products, but also certifies cosmetics, detergents, perfumes, and textiles. The company inspects about 70% of the organic food industry in France and about 30% worldwide. 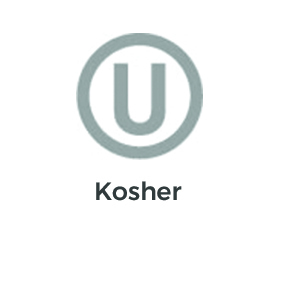 OU (Orthodox Union) Kosher is the world's largest and most widely recognized kosher certification agency, certifying more than 500,000 products produced in over 6,000 plants located in 80 countries around the world.